While archery is known to be one of the safest sports in the world, ranking somewhere between ping pong and golf, about once a year there is an archery accident that gains attention in the sport’s community. Typically, these injuries are caused by firing damaged or improperly fitted arrows, and are usually completely avoidable. Here are a few tips to help you buy arrows of the right size and test them for damage before shooting. The most common way for an arrow to become damaged is after it has already been shot, and is hit by another arrow fired at the target. Today’s bows can propel an arrow upwards of 270 feet per second, making the archer capable of achieving very tight group patterns. 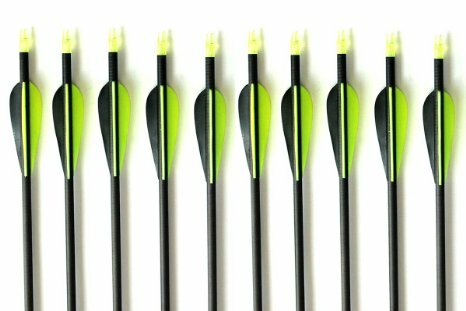 The downside of these tight groups is that when one of these arrows collides with another arrow already in target, it can damage or destroy the arrow. A simple way to avoid injuries or equipment damage due to firing a faulty arrow is to perform the ‘flex test’ on each arrow before use. To perform this test, simply hold the ends of the arrow in each hand and gently flex the arrow away from yourself (and other people… ideally at the ground, for that matter… ) while listening for any cracks or pops and visually scanning the arrow for dents, cracks, splintering, or any other problems. Rotate the arrow and flex it from several directions until you are sure it is not damaged. 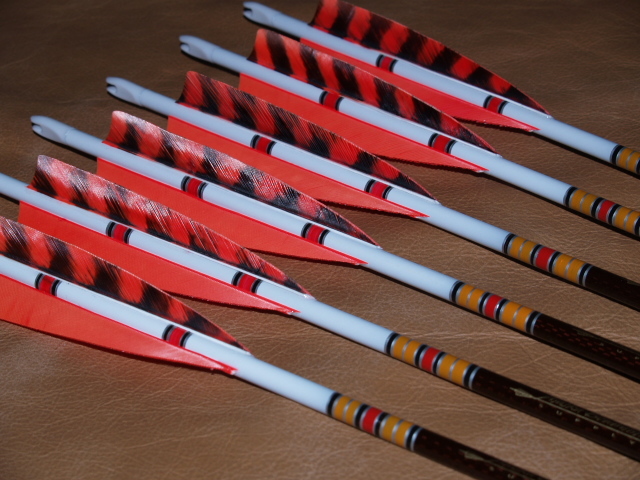 If one of your arrows does exhibit signs of damage, don’t take any chances or bemoan the cost of a lost arrow. Just destroy it and move on. It is always better to be safe than endure the cost of hospital bills or equipment repairs. Always make sure your arrows are long enough that they do not stand the chance of falling off your arrow rest (even partially) when at full draw. In general, the front end of the arrow shaft should line up evenly with the front of your riser at full draw. Also, remember that your draw length will change over your time as your bowstring stretches out with repeated use. Buy arrows that are slightly longer than draw length, keep your string properly waxed, and replace it every few years and you should have no problem. Some of the more common archery accidents occur when an arrow is not fully nocked. 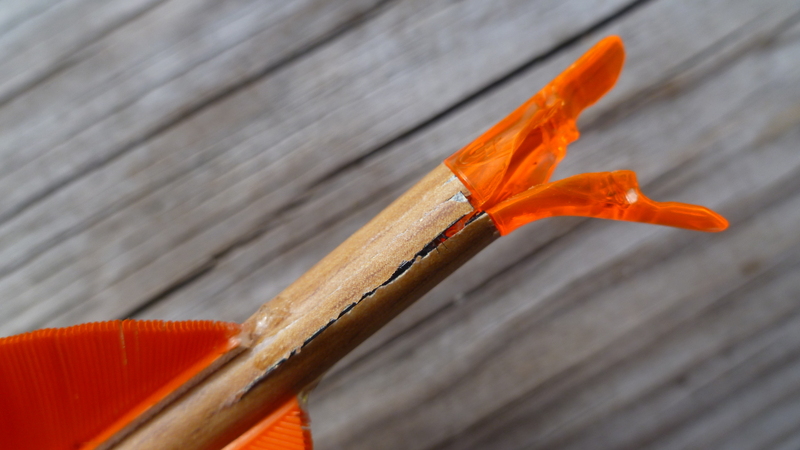 At best, this causes the arrow to fall while in the draw portion of the shot, potentially resulting in a dry fire that can damage your bow or leave a welt on your bow arm. At worst, the arrow can fall after you have released the string, causing it to take an unintended and unpredictable flight path. While it can be easy to blame the arrow when an accident happens, ultimately the responsibility lies in the hands of the shooter. Never assume an arrow is safe before firing. Take the time to flex test every arrow before shooting, and especially if you know the arrow made contact with another. While Archery ranks among one of the safest sports in the world, taking the time to teach these rules to children, and modeling them your self will ensure archery continues to remain one of the safest and most rewarding lifetime sports in the world.